The highly anticipated Aspire Atlantis offers the benefits of a Rebuildable Atomizer in the shape of a hassle-free replaceable coil tank system! 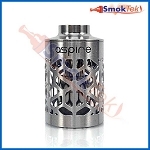 Like the Aspire Nautilus line, it is made of stainless steel with a pyrex glass tank, allowing the use of any juice without fear of damaging the tank. 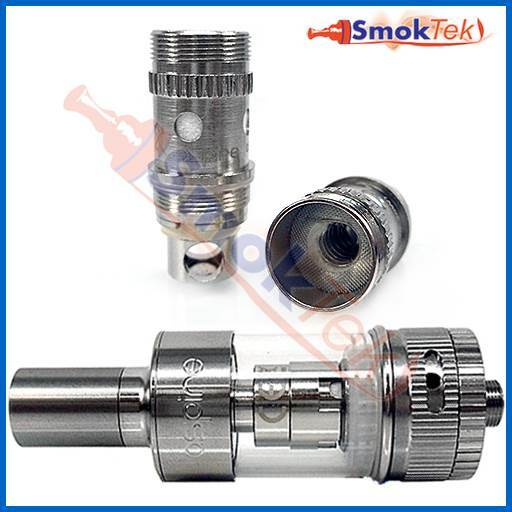 It has 2ml capacity and is easy to fill or replace the coil. The Aspire Atlantis features sub ohm coils! In their performance, these coils rival that of rebuildable atomizers, offering fantastic flavor and tons of vapor! The Aspire Atlantis sub ohm coils are capable of handling an impressive amount of power without dry hits, and are best at 20W and up. Changing the coil is easy: simply unscrew the base, unscrew the old coil and replace with a new one. When using a new coil, we recommend priming it by dripping a few drops of e-liquid onto the cotton in the center and on the sides. To fill the Atlantis, hold the unit up-side-down, unscrew the base and fill with 2ml of e-liquid (be careful not to get any e-liquid down the center tube). Screw the base back on and you are ready to vape. Please allow a few minutes for the e-liquid to fully saturate the coil if using a brand new coil. The Atlantis features an upgraded airflow control system and a wide bore drip tip to ensure excellent airflow. By turning the airflow adjustment ring at the base of the tank, you can choose between four RDA-style airflow hole size options. The Aspire Atlantis is 510 threaded and will work on all 510 threaded devices without the need for an adapter. New Sub Ohm Coils for incredible flavor and vapor production! PLEASE NOTE: For best results and for your safety, we recommend running the Atlantis between 20-30W. 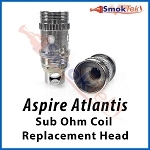 The Atlantis should only be used with devices capable of handling sub ohm coils! If using a mechanical mod, please only use High Drain batteries with a high amp limit; if using a variable power mod, please use High Drain batteries in a device capable of putting out 20W or higher. NEVER use this or any sub ohm device on an eGo battery or a device that can not handle sub ohm coils. It is for your safety! The metal tube in the center of the Atlantis leads from the mouthpiece to the battery end. Avoid getting liquid in this tube when filling the unit. When unfastening the base (atomizer head) to refill the Atlantis, the seals are temporarily broken and liquid will leak from the mouthpiece or escape into the center tube. Always wrap a cloth or piece of tissue around the mouthpiece when unfastening the base of the unit. Gurgling noise or leaks: This is a sign that liquid has found its way into the metal tube in the center of the atomizer (and usually occurs after a refill). Ridding the center tube of liquid will resolve the issue. 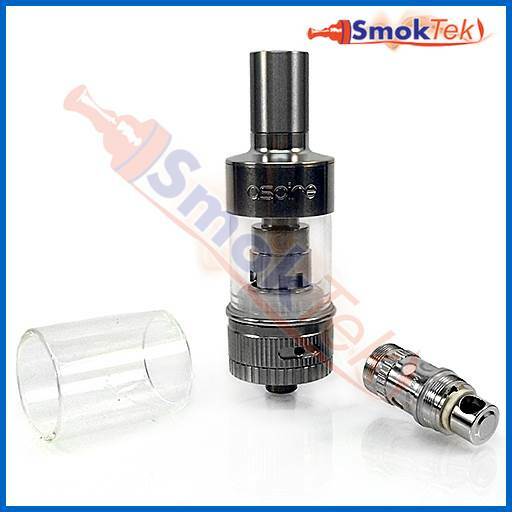 To do so without emptying the tank, remove the atomizer from the battery, wrap a cloth or tissue around the battery end of the atomizer and blow through the mouthpiece. It is normal to find a small amount of liquid in the battery contact area when removing the any atomizer. We recommend cleaning the battery before charging it. Please note: Due to the nature of this device, we cannot offer warranty, exchange or returns except if DOA. This is the best tank I've ever used. Air flow of an rda and I don't have to constantly drip. Cannot wait for bigger tank replacement. 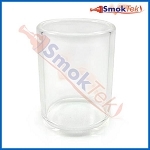 We have ordered the 5ml tanks, and we are awaiting their arrival. We hope to have them on the site before the end of February. Q: Can I get a 5 ml replacement tank for a regular Atlantis and it will fit? Do you also have the 5 ml cage for the regular Atlantis? I just bought the Atlantis and was told that it was a larger tank than the mini nautis but I find that isn't the case and I'm filling juices several times a day. I have a 30watt istick that I use it with. 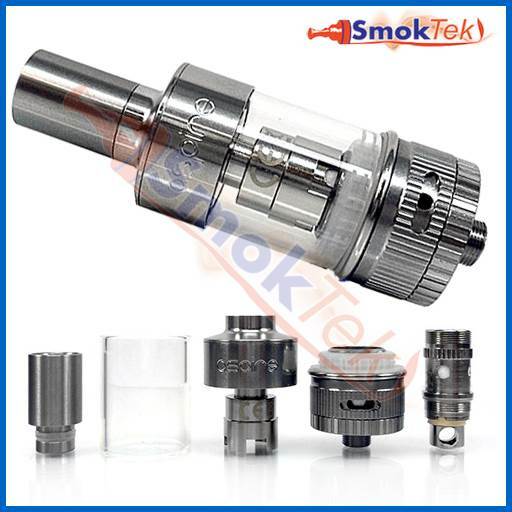 The 5 ml Replacement Tank is designed for the Aspire Atlantis 2 ml. Here's the link! We don't currently have a 5 ml cage tank for the Atlantis.